"We work hard so you don’t have to." 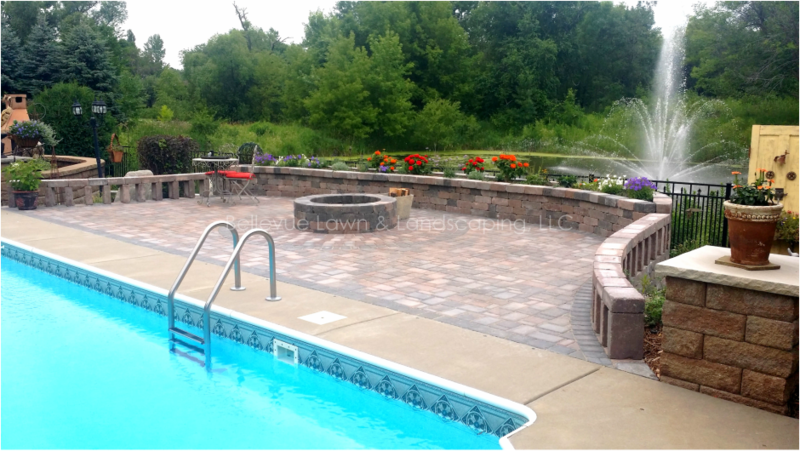 Thank you for visiting the Bellevue Lawn & Landscaping website. Our site will help you better understand the full range of landscape, hardscape, and maintenance services we provide to our valued customers. Whether you are looking for help with a spring or fall cleanup or you have finally decided to hire a professional company to provide your weekly landscape maintenance, Bellevue Lawn & Landscaping is the company to call. From shrub pruning to a raking your entire property, we can take care of it for you. We provide smaller one time jobs, such as aeration or dethatching, a new edge or knocking down native grasses. Larger jobs like mulch or rock installation or paver patios and retaining walls are also right up our alley. Simply interested in lawn mowing and flower bed weeding, our weekly maintenance package could be the right choice for you. --"I have had lawn and snow service for about a year with Bellevue, and they are reliable and do an excellent job. They respond right away to any concerns. The spring cleanup is soooo nice, you won't believe how great your yard can look." --"Manuel has won our trust and confidence for all of our yard’s needs. Shrub and tree trimming, landscaping projects, and snow removal have been done with a professional attention to detail. Because of his excellent work, he has earned our summer weekly lawn maintenance and clean ups going forward. I strongly recommend him and his team!"